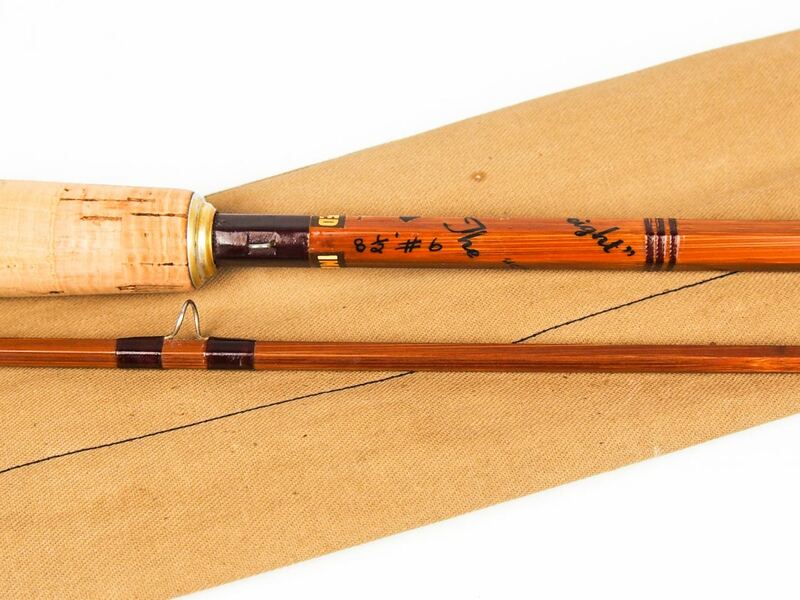 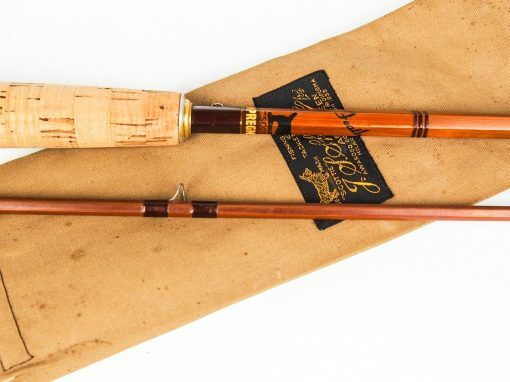 In very good condition throughout and 100% original, smooth cork handle, nice tight suction ferrule joint, completely straight with NO sets or ticks, alloy guide ring with snake rings throughout with burgundy whippings, complete with original rod bag which is also in very good condition. 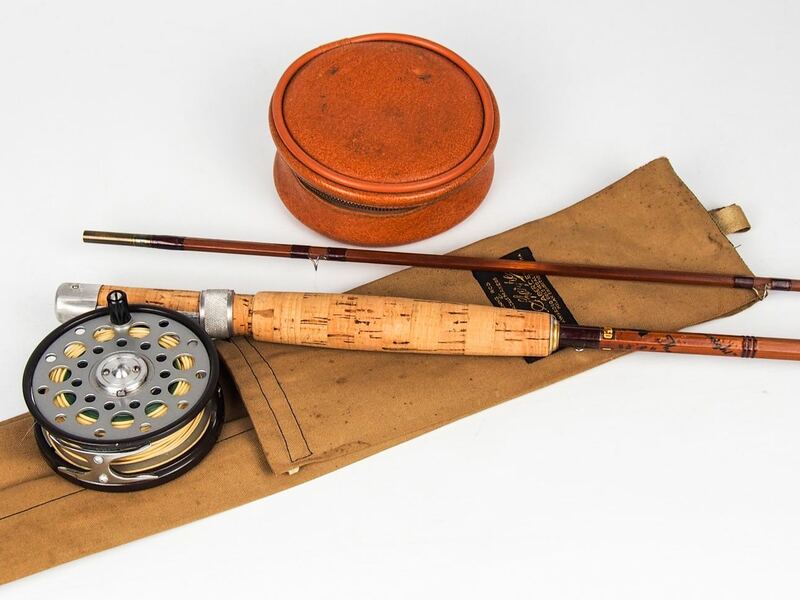 In very good condition and in full working order as I doubt it has been used more than a few times, and perfectly complements the rod above. 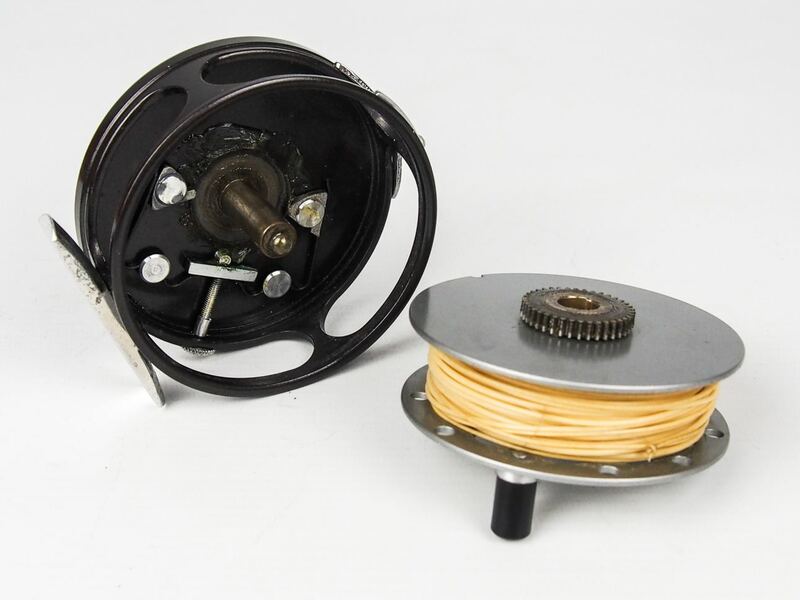 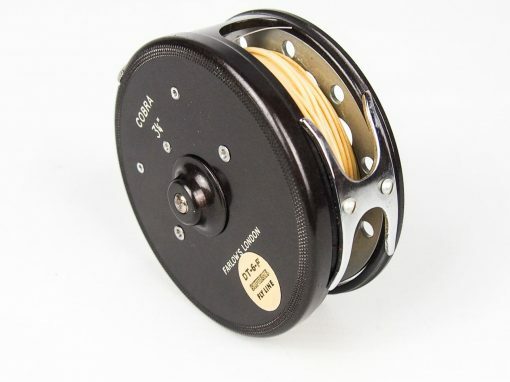 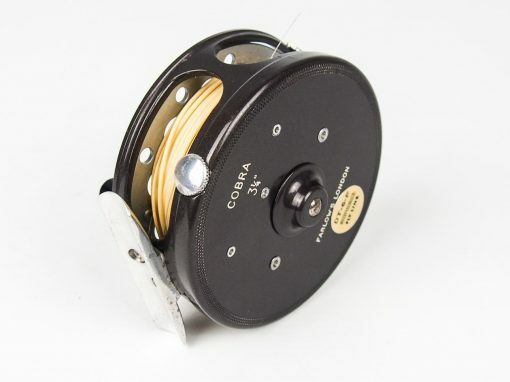 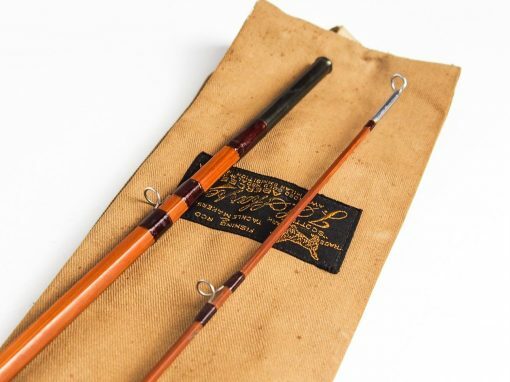 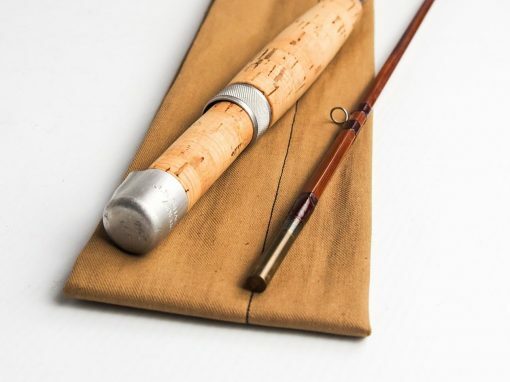 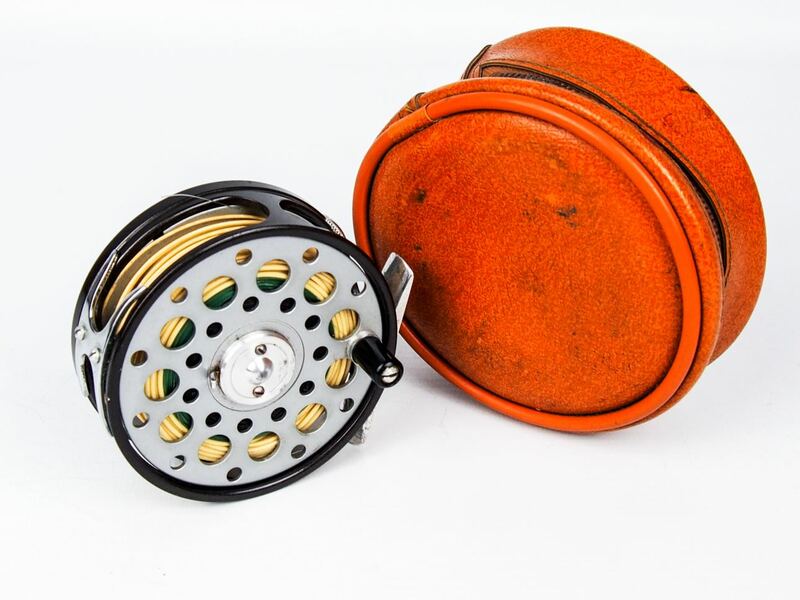 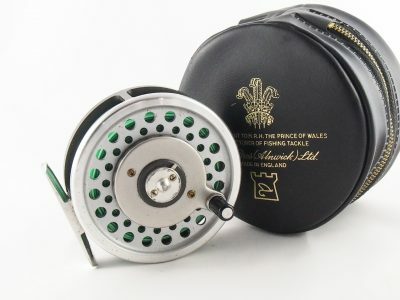 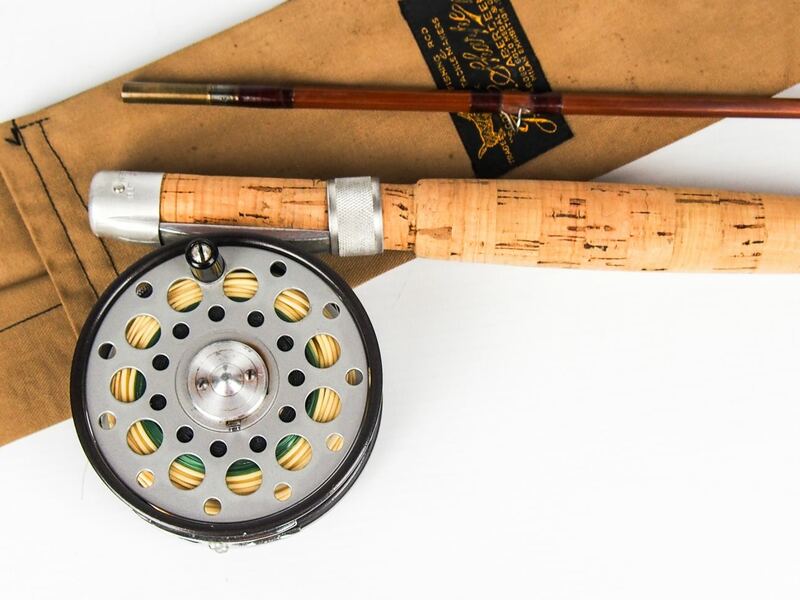 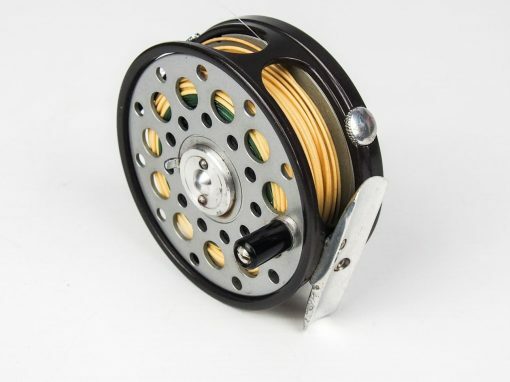 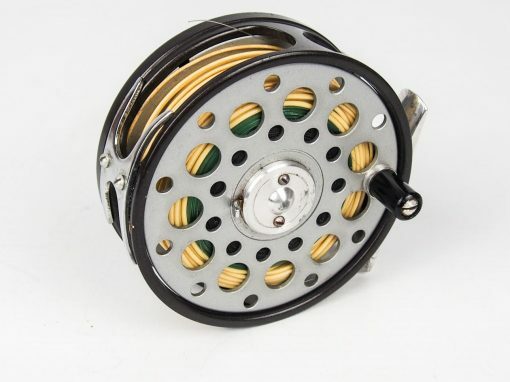 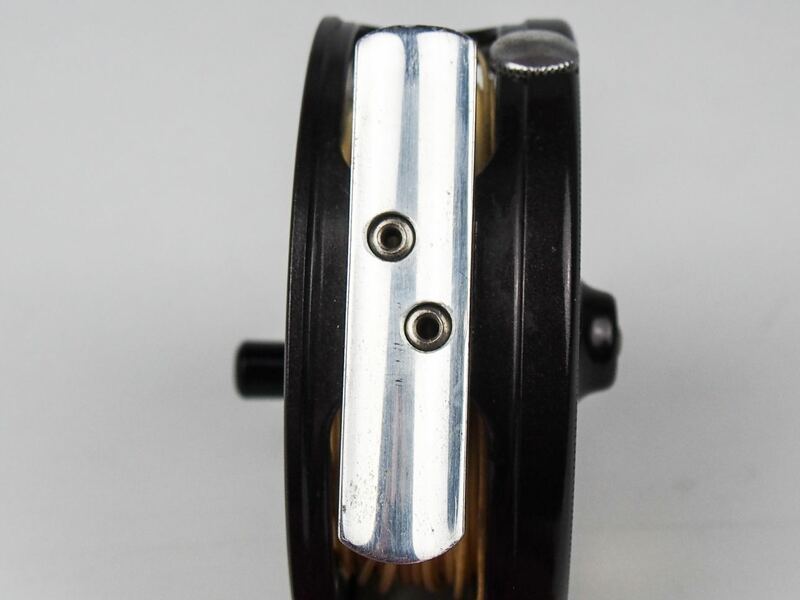 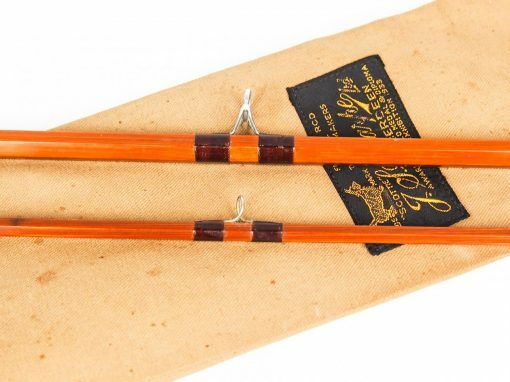 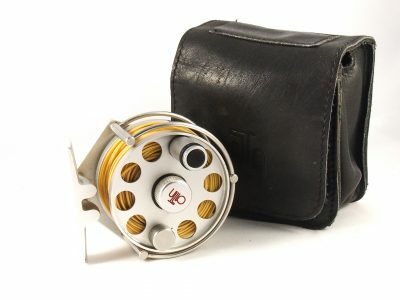 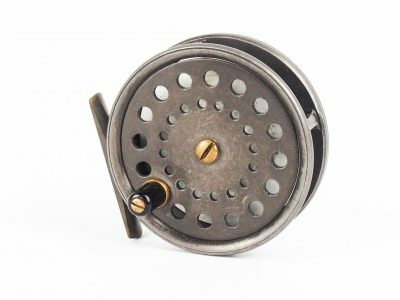 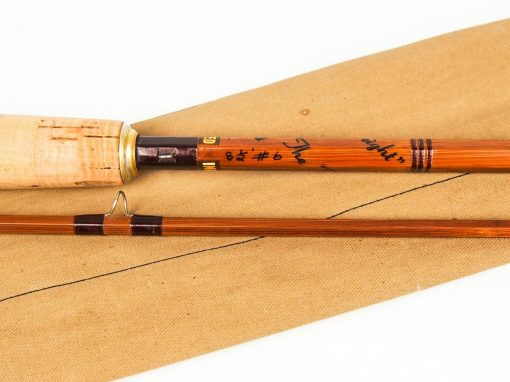 This is an ideal starter kit for someone looking to try out traditional fly fishing for the first time.